There’s a strong correlation between entrepreneurship and giving. In today’s world of social responsibility, “cause marketing” is commonplace and your customers want to see how your business is in the business of giving back. Studies show that 87 percent of consumers say they would switch from one brand to another if the other brand was associated with a good cause. 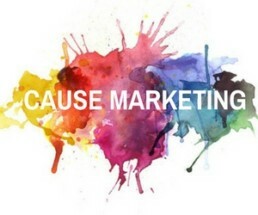 Cause marketing is an excellent way to build your business, support a cause or organization you care about and make the world a better place. The most effective cause marketing campaigns stem from a place of genuine caring. What matters the most to you and your business? If you have a cause you believe in, it will become much easier to give of your time and means. But be deliberate with the cause you choose. Causes that relate to your business tend to be more effective for marketing campaigns than ones that don’t. For example, if I’m the owner of a mattress company, a cause campaign that is focused on reducing childhood obesity may not be as effective as a campaign that donates mattresses to a local women’s shelter. By selecting a cause that has a strong affinity for your business, you come across as more knowledgeable, and your actions carry more weight. As you collaborate with your cause’s organization, look for tasteful ways to market your goods and services to its employees, volunteers, beneficiaries, etc. An easy way to do this is by advertising your business in the communication vehicles of your cause. For example, you could write an article for your nonprofit’s blog or newsletter about how your business is helping. Or, you might consider offering special discounts to people that are associated with your charitable organization. Get your charity on board with your products by designating specific items as “cause-related” that will benefit your charity when they are sold, or create packages of goods or services that can be donated to your charity, or sold at a discount. Joint promotions can very effective in raising brand awareness and introducing your goods and services to new customers. Cause marketing isn’t just good to do, it’s something every business should do. It is an excellent way for two entities to form a meaningful and mutually beneficial relationship, producing benefits for both parties and their chosen cause. It’s a win-win for everyone!